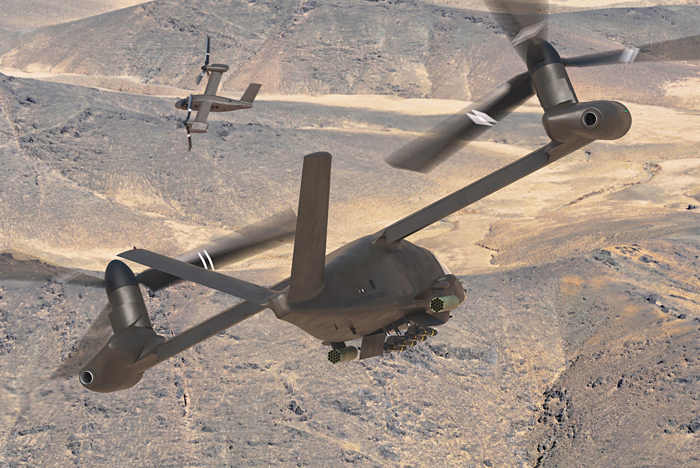 Bell Helicopter revealed today the Bell V-280 Valor tiltrotor concept, its offering for the U.S. Army Joint Multi Role/Future Vertical Lift (FVL) Technology Demonstrator (JMR/TD). 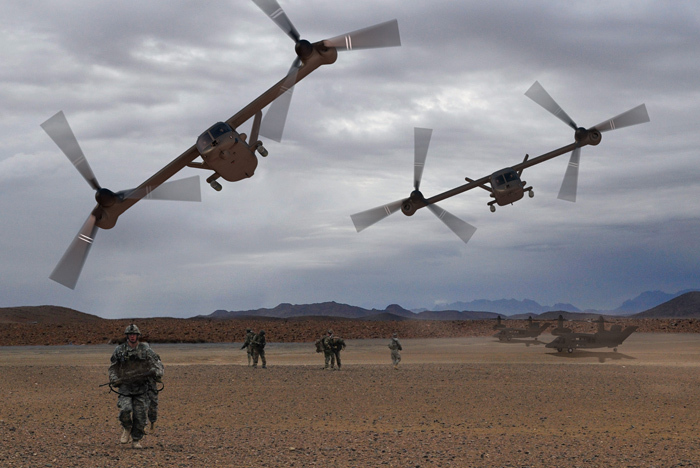 The V-280 Valor is a clean sheet design to meet the Army’s medium-size requirement for as many as 4,000 aircraft in the coming years, replacing both the UH-60 Black Hawk and the AH-64 Apache in the utility and attack roles. In delivering a tiltrotor, Bell is putting its emphasis on speed, range and productivity, claiming the tiltrotor will be twice as productive as the conventional designs and some of the hybrids that have emerged from its competitors. 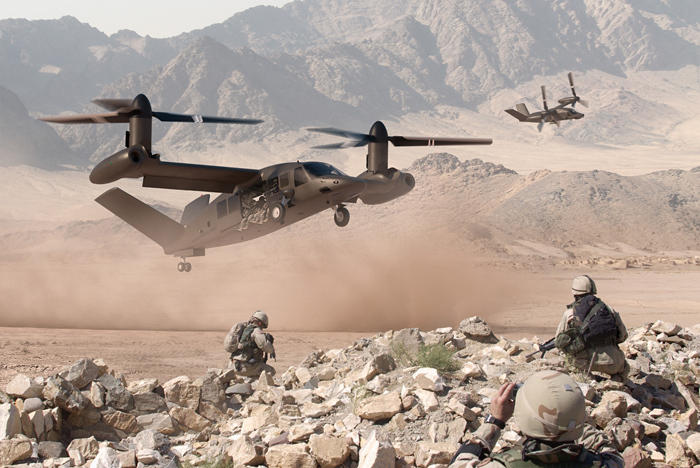 Bell Helicopter says it has taken lessons learned from the V-22 Osprey. The most obvious change comes in the configuration of the engines. Rather than tilting pods, the engines remain fixed horizontal with the rotor and drive system encased in a tilting pod. According to Bell this eliminates concerns about ingress and egress of troops from the side doors and increases the field of fire for the door gunners when on approach to a hostile landing zone. It may also help lower development risk, reducing the need to certify engine operation at different angles. Bell is working to give the V-280 lower rotor disk loading, which will in turn reduces the level of downwash. The company is confident that the aircraft will have a downwash somewhere between that of the V-22 and a conventional helicopter. Bell has illustrated two versions of the aircraft: the utility variant capable of carrying 11 passengers and four crew, and an attack variant using the same fuselage that would presumably replace the AH-64 Apache. The picture below illustrates how the attack aircraft would be able to carry precision guided weapons in a payload bay as well as under the wings. A turreted gun would fit under the nose. With Boeing working with Sikorsky on providing an FVL solution using Sikorsky’s X2 compound technology for the Sikosky S-97 Raider, Bell is looking for a new partner with which to share the program. The company says it is in discussions with other “aerospace partners” and that those discussions are continuing, but refused to put a timeline on any announcement. 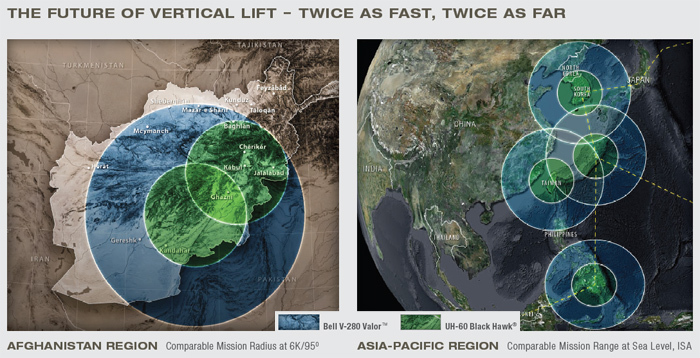 To be honest, I don’t think the V-280 would be capable of replacing the AH-64 Apache. What do you think?